Ciudad Condal was one of my favorite meals of the trip. After being stuck in a lot of Barcelona traffic, we were all very ready to relax with a good meal. Upon our hotel's recommendation, we took a quick 10 minute walk over to the restaurant, where the food and service definitely surpassed all expectations. I liked that all the tapas restaurants we visited in Spain displayed most food items at the bar. We ordered almost everything based on what we thought looked appealing. One of the best things about Ciudad Condal? This whole meal came to around 60 euros (USD $80) total. Honestly after all our tapas meals in Spain, I feel like having over-priced tapas in NYC will now bring me heartache. We opted to sit in the back of the dining room at a corner booth table. 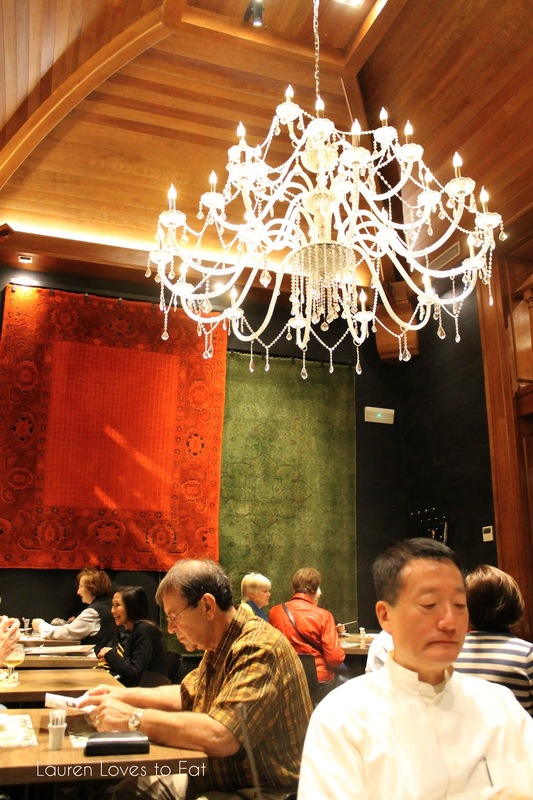 Although there was no sunlight in the back, the beautiful chandelier and wall of bookcases made for a great setting. 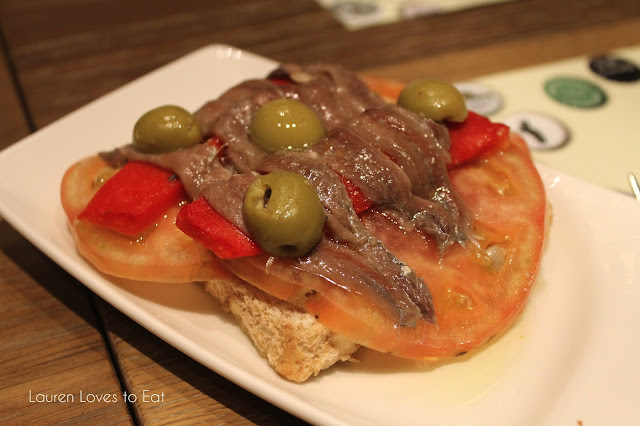 A unique combination of anchovies, red bell peppers, and olives on bread. The saltiness from the anchovies were balanced out nicely with the sweet tomato slices. Parma ham bocadillo. 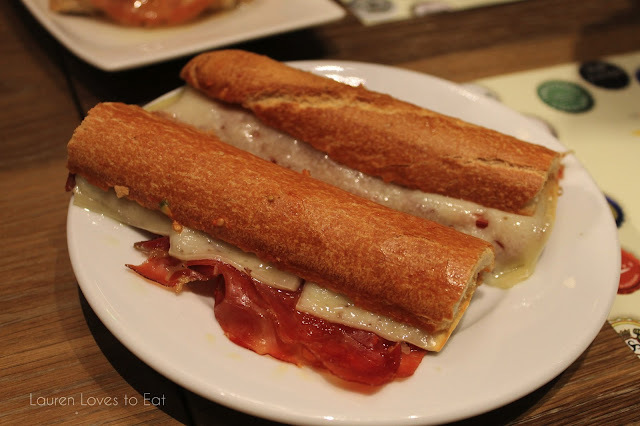 How does anyone go to Spain and not fall in love with their sandwiches? Heated upon request, we also had cheese added to this. Amazing. 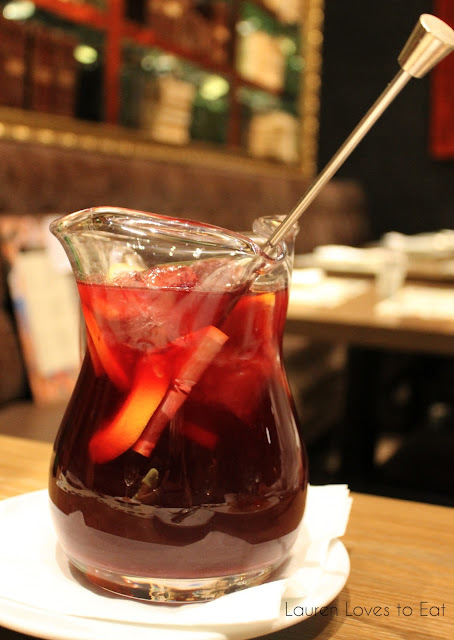 Of course we had to order sangria. This was deliciously refreshing and not too sweet. 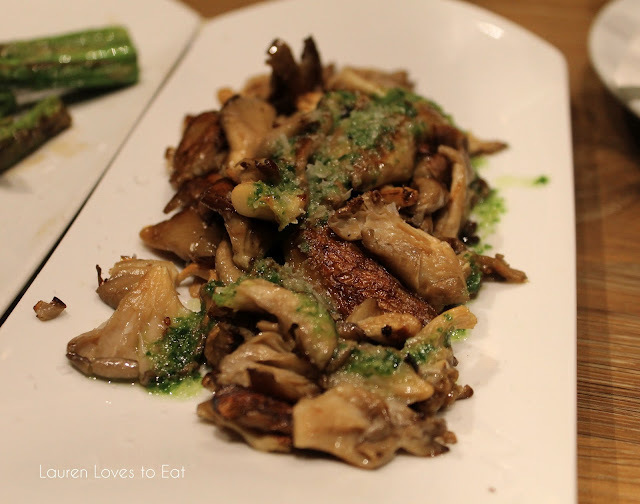 Mushrooms with pesto sauce. Tasty, but a little too salty for my liking. 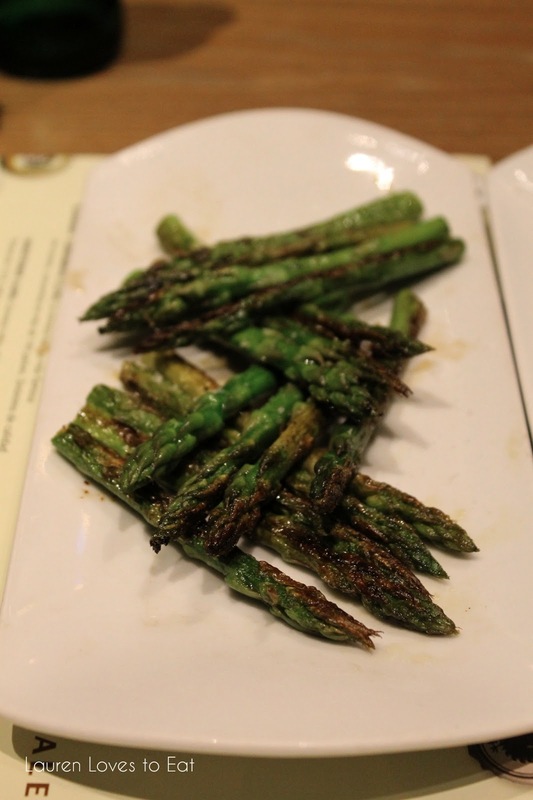 Grilled asparagus with sea salt. Similar to the mushrooms, this was slightly over-salted. It was very good asparagus though-- fresh and not stringy. You take gorgeous photos Lauren. Welcome back. Those mushrooms look insane! Aw thanks, Nisha!! The mushrooms really were insane! Everything looks AMAZING! I miss eating out in Barcelona, some of the best food I've ever had. SO good. Really wish we had been there for longer! 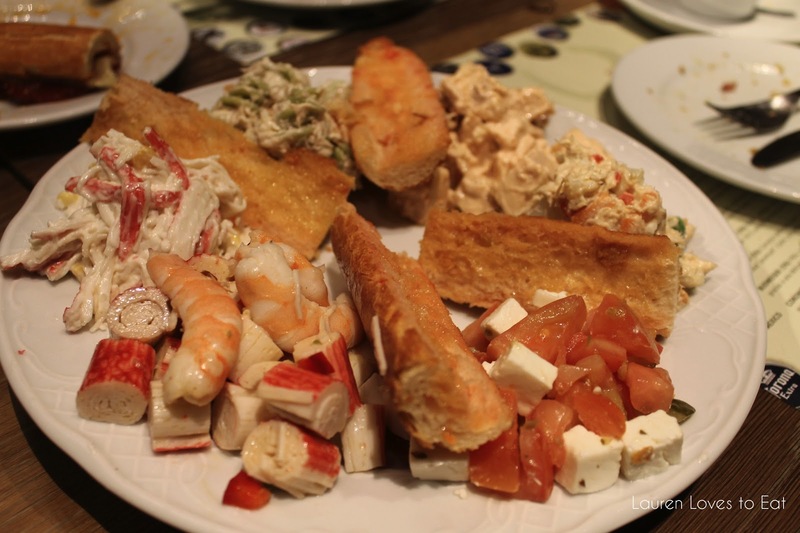 My trip to Barcelona was one of the best trips I've ever taken, food-wise. The tapas look delicious!